When a recent opportunity to receive tasting samples of Montinore Estate wines presented itself, I was quick to respond in the affirmative. I recognized the Montinore name immediately. 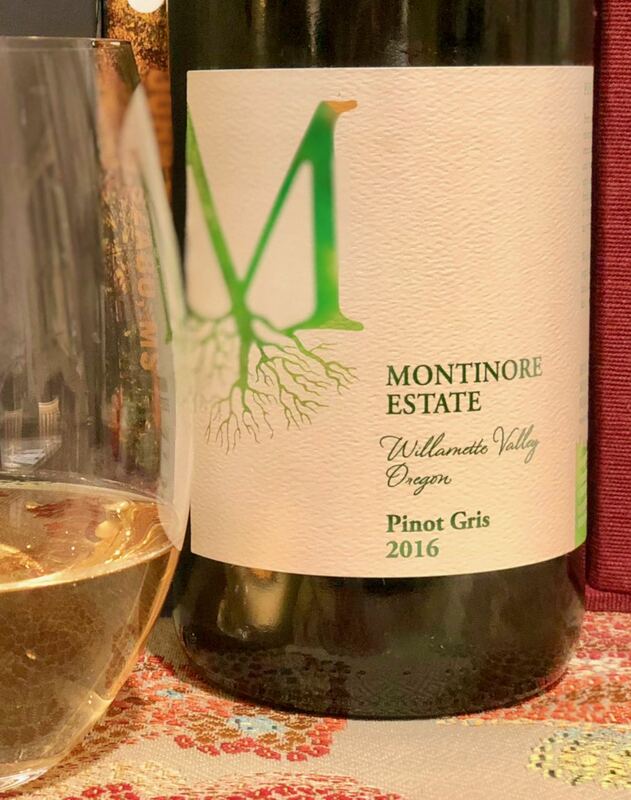 Last August I enjoyed a bottle of 2015 Montinore Pinot Gris we received through one of our wine club memberships. The Pinot Gris caught my attention for several reasons. First, it was deliciously complex, a characteristic sometimes lacking in Pinot Gris. 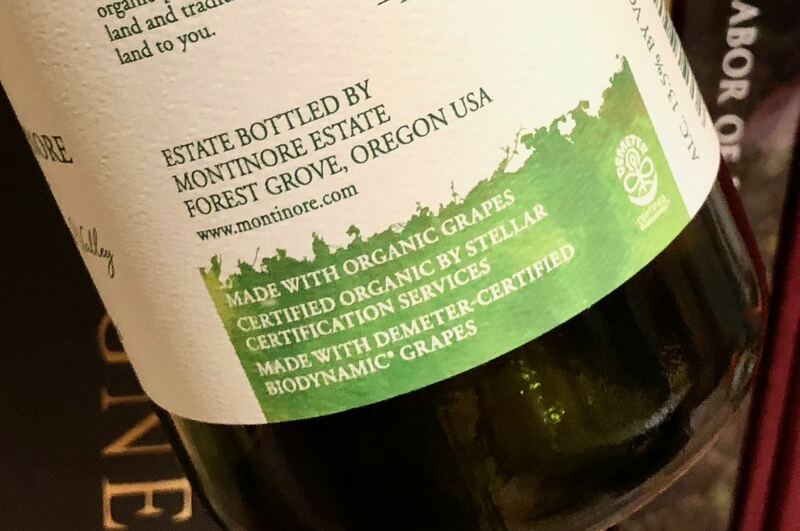 Second, the wine was made using Demeter Certified Biodynamic® and Stellar Certified Organic grapes and third, it said so on the wine bottle label. This third point has significant practical importance. If, as a consumer, I don’t know the grapes are grown organically or biodynamically, then that fact cannot figure into my purchasing decision. For a variety of reasons, not all wines made using organic or biodynamically-grown grapes say so on the label. When this information does appear on the label I know that vintner has met additional organic and biodynamic wine processing standards. I appreciate that effort and might be more inclined to purchase a wine labeled as such. Montinore Estate farms two estate vineyards. 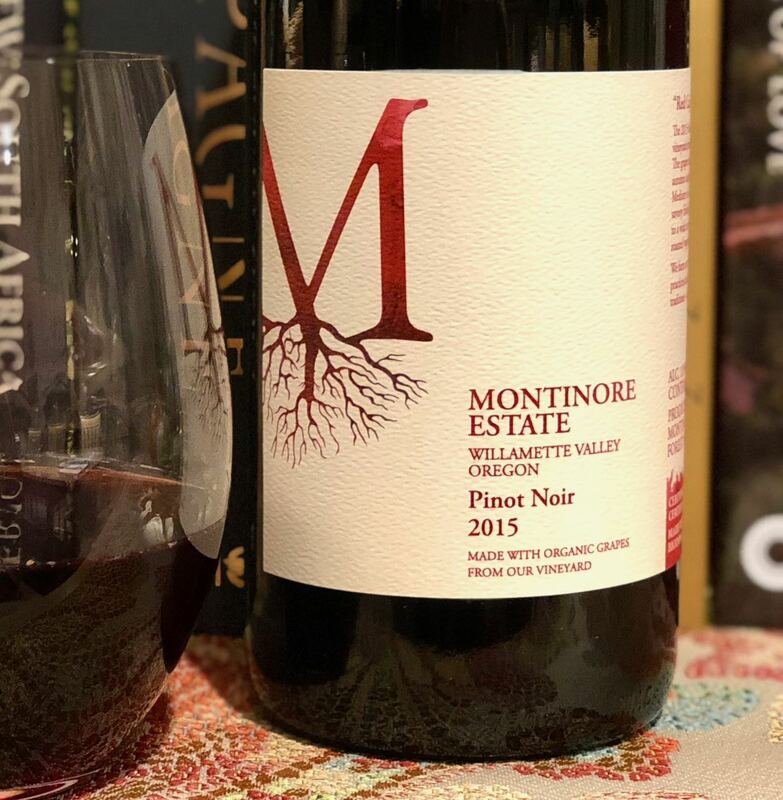 The 200-acre Montinore Estate Vineyard was planted in 1982 and has been Demeter Certified Biodynamic® and Certified Organic by Stellar Certification Services since 2008. Stellar Certification Services is a sister company to Demeter that provides organic certification and is certified by the USDA as a National Organic Program certifying agency. The vineyard lies in the northern part of the Willamette Valley AVA with a southeast orientation along Oregon’s Coast Range. The acreage is planted to varieties you would expect to find in Oregon (Pinot Noir, Pinot Gris, Gewürztraminer and Riesling) but also includes Müller-Thurgau, Teroldego and Lagrein. Rudy Marchesi owns Montinore Estates with his daughter Kristin and these cool-climate varieties are a nod to his family heritage. The 30-acre Merriman Vineyard is planted to a variety of Pinot Noir clones and a bit of Chardonnay. The vineyard is dry-farmed and is moving toward biodynamic certification. What Is Biodynamic Farming and Why Is It Important? Biodynamic principles are based on the belief that farming should be part of a natural environment and managed in a self-sustaining way. Ideally, a farming operation is diverse enough to fulfill its own need for farming inputs such as compost and fertilizer production. Soil health and diversity are maintained by applying a variety of preparations. This is where putting cow manure in a cow horn and burying it the vineyard comes into play. It may sound weird, but various preparations are made and sprayed on the vineyards. This stimulates root growth in cover crops and facilitates the uptake of nutrients and minerals by the vines. Resistance to pests and disease is based on the vigor of the vines as well as plant diversity on the farm as a whole. Biodynamic farming principles take farming back to pre-industrial methods. Synthetic pesticides, herbicides and fertilizers are not natural inputs, therefore they are not permitted in biodynamic farming. Biodynamic principles build on organic farming and also take into account Earth’s relationship to the Moon and the constellations. Biodynamic farming principles are important to me for the same reason organic farming is: it reduces the production and use of potentially harmful chemicals in a world we all share. An added benefit may be producing grapes with a real sense of place or terroir, which may result in unique wines with more character. 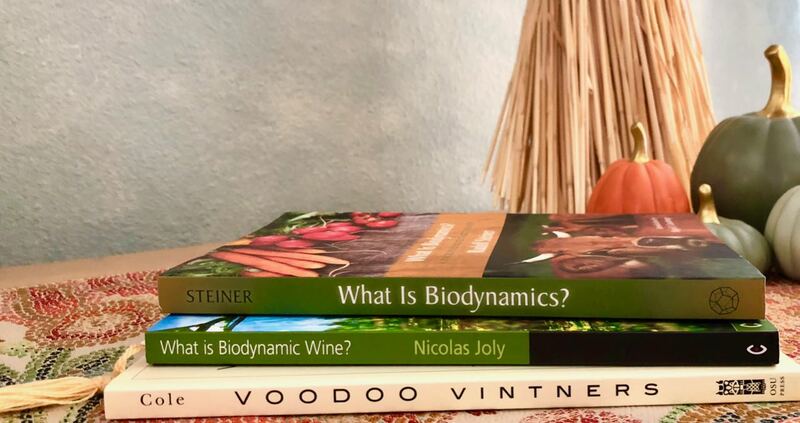 These are controversial topics, but interest in biodynamic viticulture is growing. There are many good books on the subject and lots of information online. Beyond that, these pre-industrial farming techniques take me back to my childhood; I have an emotional attachment to this kind of farming. Although I didn’t realize it at the time, my grandparents farmed in exactly this manner. They retired to rural California from the city. They kept chickens, cattle, sheep and pigs. I clearly remember the compost pile. I remember conversations with my grandmother about planting seeds according to the phases of the moon. I remember her pulling carrots, onions and beets from the garden. They were able to produce most of what they ate. My grandparents farmed this way because it is what they knew. It is how they lived before immigrating to the U.S. in the early 1930s. 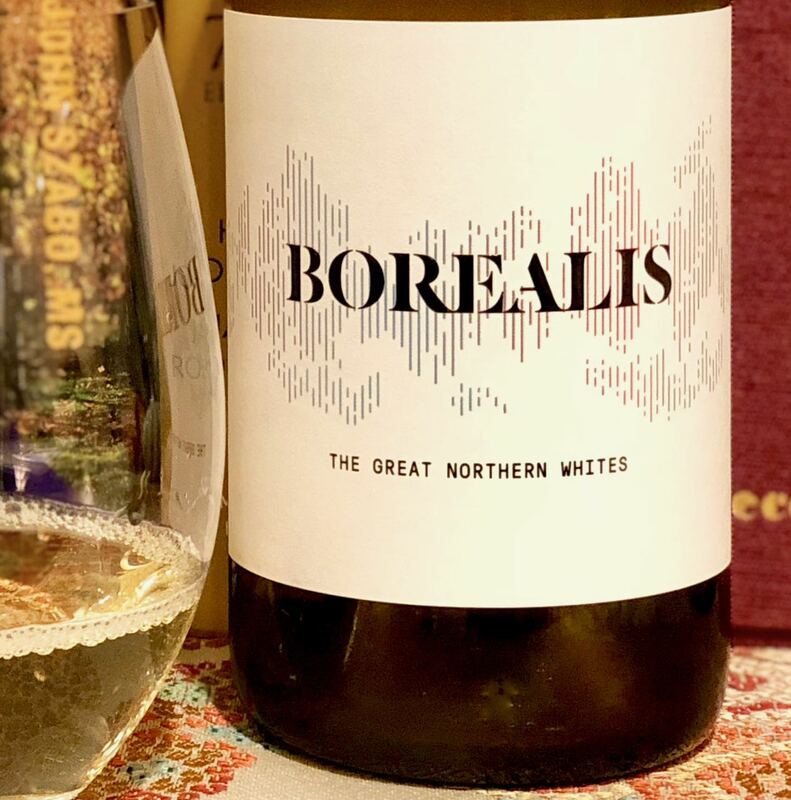 This non-vintage aromatic white wine is a blend of Müller-Thurgau, Gewürztraminer, Riesling and Pinot Gris all from the Montinore Estate Vineyard. Each variety is made individually with the idea of blending them to create this delicious white wine. This lovely white wine will be amazing on a warm summer afternoon. It would pair nicely with about any spicy dish you could imagine. 2016 Montinore Estate Willamette Valley Pinot Gris — this medium-yellow wine almost looks as if it is blushing. Aromas of ripe yellow apples and pears combine with hints of dry oat hay and citrusy notes. Flavors comprise dusty minerality, dry oat hay and a grating of citrus pith. The wine has nice weight in the mouth and nice acidity with a medium-length finish. 13.5% abv. $16. I feel like I never know what I am going to get with a glass of Pinot Gris — is it going to be watery and flavorless, or like this Pinot Gris, will it have texture and flavor? This is the second vintage of Montinore Estates Pinot Gris that I’ve tasted and the second that I’ve liked. This Pinot Gris is a blend of seven vineyard blocks fermented with a combination of native yeast and selected yeasts. Fermentation took place in stainless steel, in a variety of vessel sizes and at various temperatures, and with lees aging. All that hard work in the cellar resulted in this lovely Pinot Gris. I do not pretend to understand the chemistry of wine. Sometimes when I open a bottle of wine it tastes best on the day I open it, sometimes it improves in the next day or two. I never know which way it will go. To be honest, I was a bit underwhelmed by this Pinot Noir on the first evening I tasted it. The wine didn’t reach out and grab me. But, on day two and day three I had a very different experience. For whatever reason, this wine became much more expressive over time. We stored the opened wine at room temperature with a rubber stopper. Pinot Noir for this bottling comes from the Montinore Estate Vineyard as well as the Vista Grande and Keeler Vineyards. The wine was aged for 9 months in Hungarian and French oak, only 20% new oak. There you have it. Three wines produced using organically and biodynamically-certified grapes for a very reasonable price. Whether or not you have an interest or passion for biodynamic principles, these are delicious wines at a very reasonable price that are worthy of your consideration. They might even spark your interest in organic and biodynamic farming principles.